By Laura. Posted August 16, 2011 at 10:58 pm. 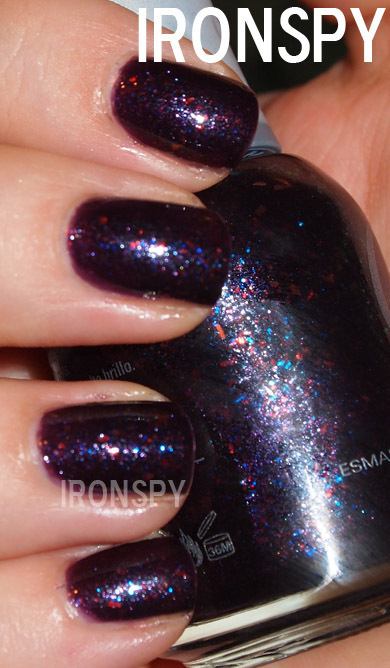 Last trip to Ulta I impulse bought one of the new fall Orly’s, Fowl Play ($7.5/.6oz). 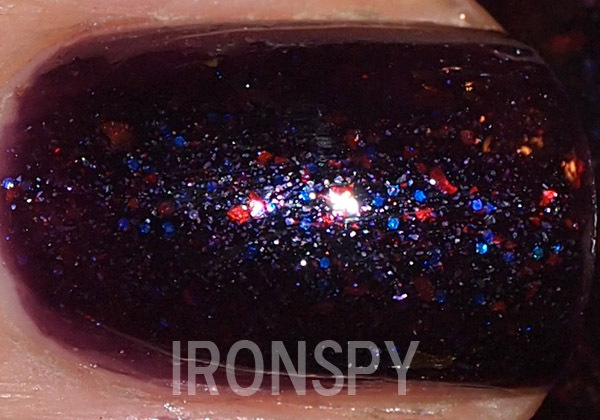 Fowl Play is a really deep red based purple jelly base, with tiny silver and blue glitter and flakes that flash red/green. 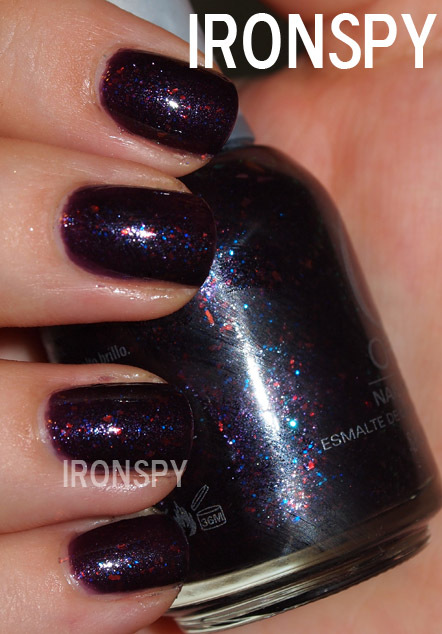 It’s also a dupe for OPI’s Merry Midnight, which was released as part of their 2010 holiday collection. I have to say, it’s quite a stunner! Formula was smooth, and I used 3 coats to get opacity. Pictures are 3 coats + 1 coat of Seche Vite topcoat. Fowl Play is limited edition and selling out fast, so get one while you can!